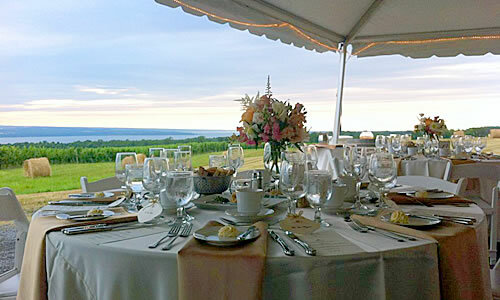 The off-premises division of The Heights provides catering and events management throughout Ithaca, the Southern Tier, and the Finger Lakes region of New York. With over 18 years of off-premises catering experience, we offer our services for cocktail parties, sit-down dinners, buffets, and barbeques. We also provide beer, wine, spirits, and non-alcoholic beverages. Please note that New York State requires 15 business days for all alcohol permit applications to be processed.